Namig Ibrahimov is a young entrepreneur, building an online shopping platform that offers imported clothing to Azerbaijani customers. To invest in his business, though, he is getting loans not from a bank, but from a loan shark. But Ibrahimov is not alone: loan sharks are an increasingly popular way for Azerbaijanis to get money, amid a banking crisis that has rocked the country’s legitimate financial sector. On February 21, 2015 – now known in Azerbaijan as “Black Saturday” – the government sharply devalued the local currency, the manat, which ultimately led to the closure of 13 banks and the manat losing more than half its value. 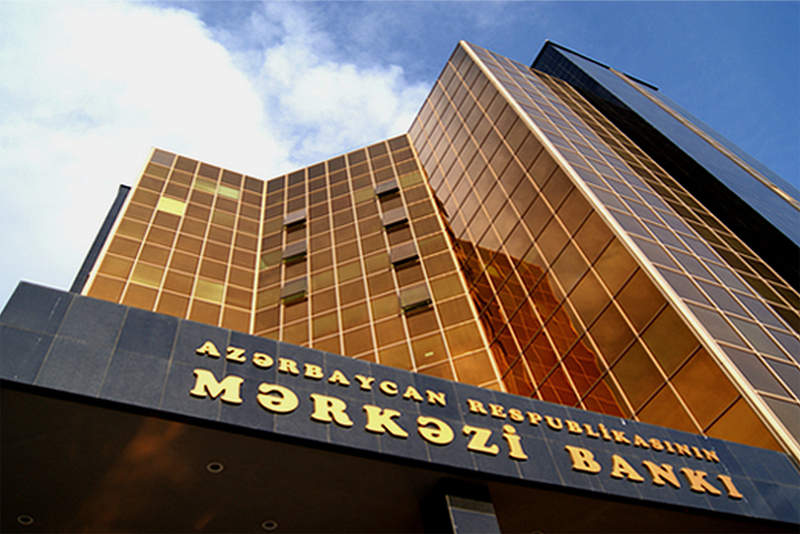 As a result, Azerbaijanis with bank loans – which were usually denominated in dollars – saw the cost of their obligations skyrocket overnight. Since the devaluation, more than 200,000 Azerbaijanis have been sued by banks for failure to repay their loans,” said one member of parliament, Zahid Oruj. In May, the state-run International Bank of Azerbaijan – the country’s largest lender – defaulted as a result of a large number of bad loans. This has, at times, had tragic consequences for borrowers. In February, a 53-year-old man, Jabrail Jabrayilov, was at a bank to discuss a loan he had taken out for about $1,020. Told he would have to pay an additional $500 in interest on top of that, Jabrayilov had a heart attack on the spot. His son blamed the death on the stress of trying to deal with the loan, local media reported. After the devaluation, the Central Bank of Azerbaijan instituted new rules aimed at forcing banks to be more selective in giving out loans. One requirement was that borrowers had to be employed, which excluded entrepreneurs and those in the informal economy. Borrowers also want to get loans denominated in manats, to help protect against further devaluations, while banks continue to want to loan in only dollars. “Neither side wants to lose, since the currency is not stable,” said Samir Aliyev, an economist and editor-in-chief of the magazine Economic Forum. Loan sharks are more likely to loan in manats, albeit at exploitative interest rates. “The tightening of credit policy resulted in the rise of loan sharks and pawn shops,” Aliyev said. Loan sharks in Azerbaijan operate in the shadows, by word of mouth, offering loans on collateral like gold or real estate. Of the several contacted by EurasiaNet.org through intermediaries, none agreed to be interviewed. The scale of loan sharking is difficult to gauge, given its underground character. But there has been a spike in court cases involving usury, and the topic has become a frequent one in local media. In one case, a Baku woman, Saadat Mammadova, appealed to police after loan sharks took her nine-year-old daughter hostage. She had borrowed 6,000 manats from a loan shark, using gold as collateral. She had been paying it off slowly, but after two years, the interest had ballooned to 100,000 manats, and the loan shark claimed she had not been paying it back. She managed to get her daughter back after paying 2,000 manats, but her case against the loan sharks is still ongoing. In another case, which made it to the Baku Serious Crimes Court, a Baku teacher, Solmaz Sadiyeva, was accused of defrauding several of her colleagues into helping her pay off a debt to a loan shark that had gotten out of control. The rise in loan sharking also can be seen in the decline in the legitimate lending sector. According to the most recent Central Bank data, the portfolio of legitimate creditors amounted to 16.4 billion manats (about $9.7 billion), as of the beginning of 2017, a 24 percent decrease from the year before. “The government should have solved this problem by bailing out the banks. But it didn’t, and instead just let the banks and clients deal with it,” Aliyev said. Ibrahimov, the entrepreneur, has had several friends financially ruined by loan sharks. “One friend took a loan of $6,500, and wasn’t able to pay it back. Her debt was increasing every day, and in the end she had to sell her apartment,” he said. Another friend who had similar problems with a 10,000 manat loan (at the time, about $5,900) didn’t have an apartment to sell and had to flee the country.